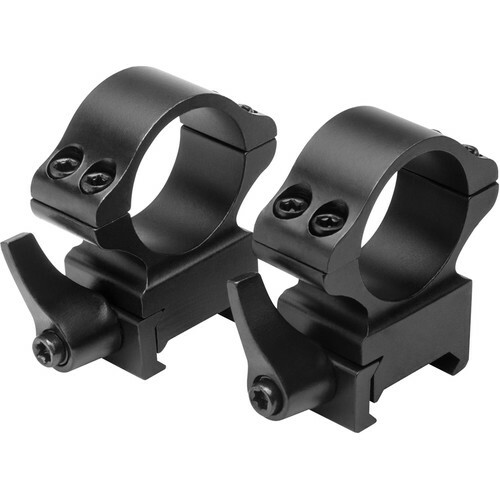 Use the RB33 Weaver Quick Release Ring Pair to mount your riflescope. The lever-operated quick release mechanism is adjustable. Made of steel, the rings provide a 1" centerline for your optic, and have an overall height of 1.8".